In the early 1980s, movie producers got all riled up over the introduction of the videocassette recorder because they feared that rentals would cannibalize theater ticket sales. Yet, U.S. box office sales have grown steadily, increasing nearly 50% between 1991 and 1998. It turns out that the VCR was used primarily by people, such as parents of young children, who would not otherwise have gone to the theater. The VCR bolstered total movie revenues. Movie-industry establishment types fought the introduction of this godsend because they were prisoners of their knowledge and experience. It appears that many executives in other industries are none the wiser these days. They are still fighting the wrong battles for the wrong reasons. In particular, the idea that a new technology, such as the VCR, has rendered obsolete all that came before, such as movies in theaters, is muddying today’s debate about the Internet as a marketing channel. Open the business section of any newspaper, and you’re bound to find some story about the battle to the death between on-line and off-line companies. But, as the VCR experience shows, new technologies don’t obliterate the current landscape. Rather, they create whole new ones. New and old technologies—like on-line and off-line companies—complement and supplement each other. The wrong-headedness about new vs. old creates a whole slew of problems. Owners of a new technology often aim to steal market share from an existing technology, when they should be offering a new value proposition. The owners miscommunicate the benefits of the new technology, target the wrong customers, and botch the whole marketing strategy. The technology then fails to live up to expectations. Worse, the strategy of direct competition spawns a rivalry with incumbents that could destroy profits for all. Meanwhile, owners of the old technology spend so much time looking for ways to fend off what they see as competition that they fail to look for ways to cooperate with or even co-opt the new technology. To avoid making the mistake that the movie moguls made in the 1980s, it’s necessary to think in terms of two models for new/old cooperation and then to follow four rules of thumb for finding the right opportunities. In this pattern, a high-tech front end complements a “high-touch” back end. For example, Career Central, an on-line professional recruitment intermediary, originally positioned itself as a substitute for headhunters. But it soon found that headhunters were among its most frequent Web-site visitors. Why? Because Career Central provided an efficient place for headhunters to find leads. In the hybrid model that emerged, Career Central cast a wide net to find job openings and those looking to fill them, while headhunters managed the personal relationships. A similar front-to-back approach could generate opportunities that would then be managed by venture-capital or real-estate firms, by auto dealers, or by home-services providers. In this pattern, two paths to the customer coexist—on-line and off-line—perhaps even owned by the same entity. Gateway Computer feels that the Web is great for sales and support but rotten for demonstrations, returns, and education. So the Web-based retailer has opened more than 200 retail stores, called Gateway Country, where people get advice and demonstrations. The salespeople then place the orders over the Web. Rather than view on-line and off-line as competitors—as Compaq and Dell do, in their longstanding debate—Gateway has done something innovative. In the retail pharmaceutical industry, an alliance between CVS and Soma.com follows a similar, side-by-side approach. If it’s smart, Merrill Lynch will mesh its new on-line brokerage capabilities with its traditional, high-touch network of brokers, rather than view the Web technology and the brokers as competing sales channels. exploration, the maritime industry, and military applications. In those markets, good substitutes did not exist for Iridium, which promised to let callers use satellites to reach even the most remote spots on Earth. In fact, Iridium got significant traction in these verticals and provided outstanding performance during the crisis in Kosovo. Yet it still was a multibillion-dollar failure because it was aimed at too wide a market. Similarly, Motorola turned a possible success into a failure by positioning its Envoy wireless personal digital assistant as a substitute for laptop computers. The Envoy would have done well as a focused device used only for e-mail. Instead, Motorola created an opening for Research in Motion, which has had initial success with Blackberry—a focused, wireless, e-mail device. Motorola should have known better: The Palm Pilot organizers have shown the value of new technologies that may take on some of the capabilities of laptops but that aren’t positioned as substitutes. The Rule: Don’t pay too much attention to existing products. Instead, take a fresh look to figure out the right use, the right customer, the right market for a new technology. If your technology is being challenged by an innovation, your challenger doesn’t have to be your mortal foe. Look for ways that the two technologies can be complements. A current case in point is how colleges and universities are panicking over “distance learning,” wrongly believing that teaching over the Internet will substitute for classroom education. The truth is that, properly used, technology can extend education beyond the four walls of a classroom and help students collaborate. But merely using videoconferencing to broadcast lectures is a bogus approach that lacks the social richness and interaction of the classroom experience and will never be a substitute for it. Even bank tellers and travel agents, often said to be headed for extinction because of the Internet, can be seen as complements of on-line services because they provide social interaction that many people value. An example with echoes of the videocassette brouhaha is the recording industry’s violent reaction to MP3 technology that allows downloading of music from the Web. Actually, MP3 could assist record companies in such things as talent searches and word-of-mouth public relations. The moral: A “siege mentality” that tries to build fortresses around current practices is not only doomed, it’s dumb. The myth of substitution is a lot like prejudice. 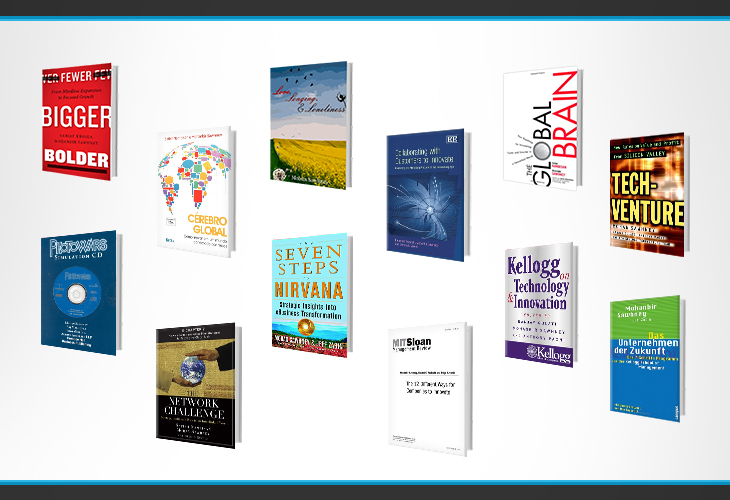 Born of fear and narrow thinking, the mental models are anchored in the current paradigm. To compete effectively, you must broaden your definition of the scope of the market and try to envision the new hybrid world that will emerge. Remember that either the old or new technology, and usually both, will gravitate toward unknown applications. So, just as a challenger should aim for a new target, so should an incumbent know it won’t always own the old sweet spot. A good historical example is radio. When television came along, radio didn’t go away, but it did change. Radio markets became stratified based on listener demographics. New formats, such as all-news, emerged. Ad pricing changed, with certain slots, such as those in “drive time,” commanding premium rates. Today, giant mall owner Simon Property Group has lifted its sights from just being a provider of real-estate space to stores. Simon, while still very successful with its old technology, is starting to offer a wide range of services, both physical and virtual, directly to customers. Its “Clixnmortar” strategy [See “Malling the Competition,” Context, February/March 2000] is a wonderful way of thinking creatively about a hybrid world, in which malls happily coexist with the Internet. The lesson: You must guard yourself against your own experiences and especially successes. The dead hand of the past will not tell you how new channels will evolve with the advent of the Internet. The substitution myth leads to a systematic forecasting error. Typically, in the early stages of an innovation, the new technology is overhyped. Lofty expectations are set, based on the assumption that the new will supplant the old. But that, of course, doesn’t happen. When a hybrid world emerges and new applications are discovered, the new technology is underhyped because few could foresee the full benefits of the new technology. Tellingly, when Intel Chairman Andy Grove was asked whether the Internet is underhyped or overhyped, he said, “Both! In the short run, it is overhyped. In the long run, it is underhyped.” Business-to-consumer e-commerce, whose growth has been overstated for years, seems to be about to switch from overhype to underhype. Enough people now have fast access to the Web, through so-called broadband connections, that we’ve reached an inflection point, and this category of commerce should explode. The rule: Avoid linear extrapolations. The real world, especially in technology markets, actually evolves in an S-shaped fashion. Progress initially feels slow because bugs need to be ironed out in a new technology, infrastructure needs to be put into place, and proper applications need to be discovered. When everything falls into place, growth is unbelievably rapid for a long stretch, before leveling off. If you plot the progress of a technology on a straight line, rather than an S-shaped curve, your expectations will inevitably get ahead of reality in the short run, then fall behind. So, take all technology forecasts and trim the short-term numbers while increasing the long-term numbers. Back in 1977, Digital Equipment Corp. Chief Executive Ken Olsen was entirely correct—from his point of view—when he famously said, “There is no reason for any individual to have a computer in their home.” Indeed, there was no logic for anyone to have a DEC minicomputer in the house. It was designed to run a business or department. Its complement, though—the personal computer—is a different matter. The train was initially called the “iron horse.” The car was the “horseless carriage.” The incandescence of electric lights was measured in “candle power.” Even the Internet was long called the “information superhighway.” Because people reason by analogy, they have a very hard time imagining something totally new in terms of anything other than what came before. The entertainment industry didn’t just assume that television would replace radio, that the VCR would kill movies, and that MP3 will desolate the recording industry. The industry has also flirted with the idea that electric keyboards and guitars would replace their acoustic counterparts. Instead, the new instruments produced new musical genres. Some say that concerts will lose their draw, because digital recording technology now makes it possible to hear a “perfect” performance at home. But people still fork over $80 to see an “imperfect” live performance. Why? Because concerts are much richer experiences than sitting at home alone. The microwave was originally positioned as a substitute for stovetop cooking. Just try to make that argument today, when it is hard to imagine a kitchen without both a microwave and a stove. Each does certain things better than the other. Will cell phones replace landline phones, as some suggest? Doubtful. Ever see an office building without a landline phone at every desk? Likewise, jet planes won’t be used for crop dusting. Nor will eBay replace local yard sales. The Internet, because of its reach, has created a whole new set of substitution myths. To look at just one: Will on-line advertising replace traditional advertising? No. Banner ads are little more than billboards or print ads dumped onto a Web page—the equivalent of producing TV ads that consist of a 15-second still picture. If banner ads are so powerful, why are so many Internet companies advertising so heavily in print and broadcast media? Only recently have we seen some clever implementations of Web advertising, such as lead referral models and affiliate marketing programs, but even those won’t render traditional ads obsolete. 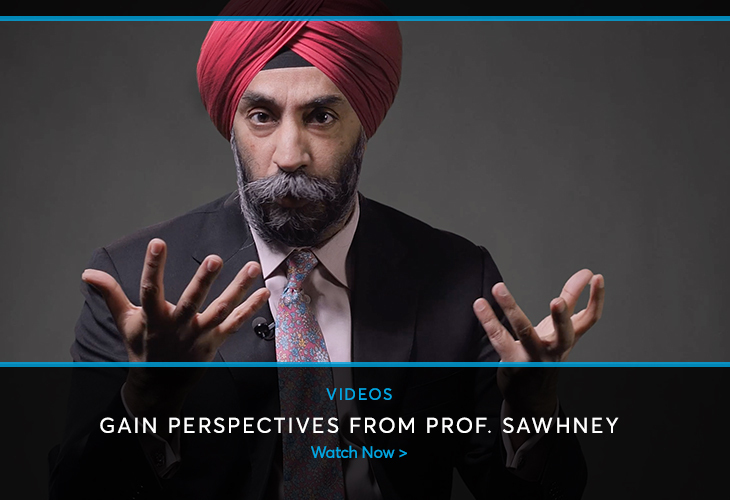 Sawhney is the McCormick Tribune professor of Technology at the Kellogg School of Management. He can be reached at mohans@kellogg.northwestern.edu or www.mohansawhney.com.